So, you want a Nexus 7. And you want it to have 32GB of storage. And you don't want to pay full price for it. Done, done, and done. 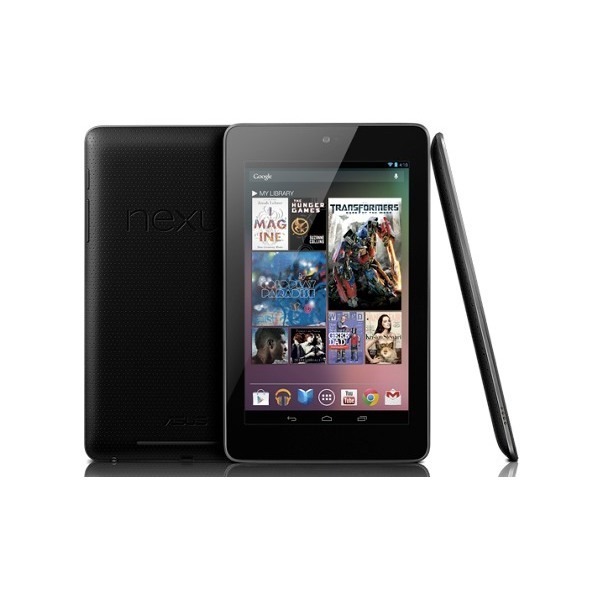 For today only, you can get a 32GB Nexus 7 from eBay Daily Deal for a smokin' $229. That's $20 cheaper than in the Play Store. Not to mention the free shipping and no tax (for residents not in New Jersey, that is). Ultimately saving you around $30 - possibly even a bit more. 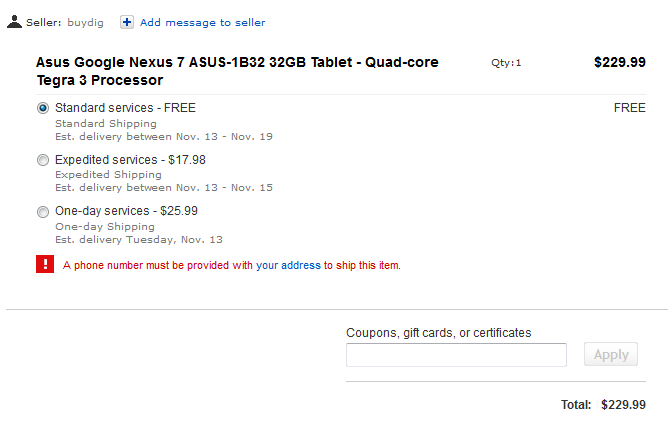 That may not be a huge savings, but c'mon - this tablet is already priced at rock bottom as it is. Hit the link below to grab one before they're gone.